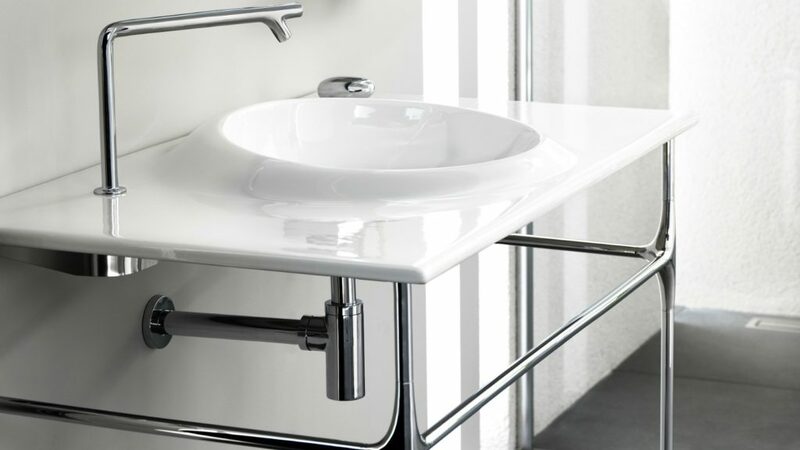 Expanding its Istanbul collection of sanitaryware, designed by Ross Lovegrove, VitrA has introduced a vanity basin. First launched in 2014, the sanitaryware and furniture range is inspired by organic shapes found in nature and the fluidity of water. The latest addition of a ceramic vanity basin incorporates a shallow, inset bowl with a curved upstand and is supported by a chrome frame featuring Istanbul’s characteristic curved corners at its joints. It measures 100 x 600mm and is pictured with a slimline tap body with a pebble-shape mixer control. VitrA showcased the Istanbul vanity and urinal, alongside its Plural range at Sleep+Eat.